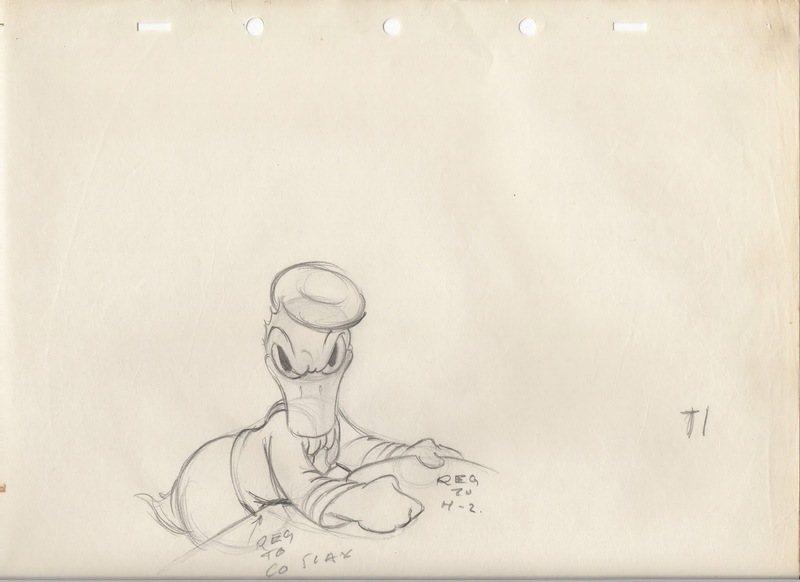 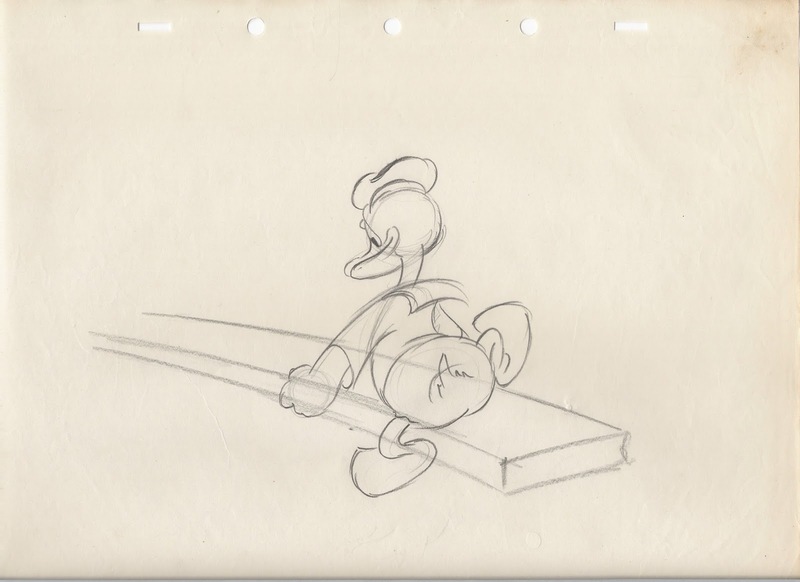 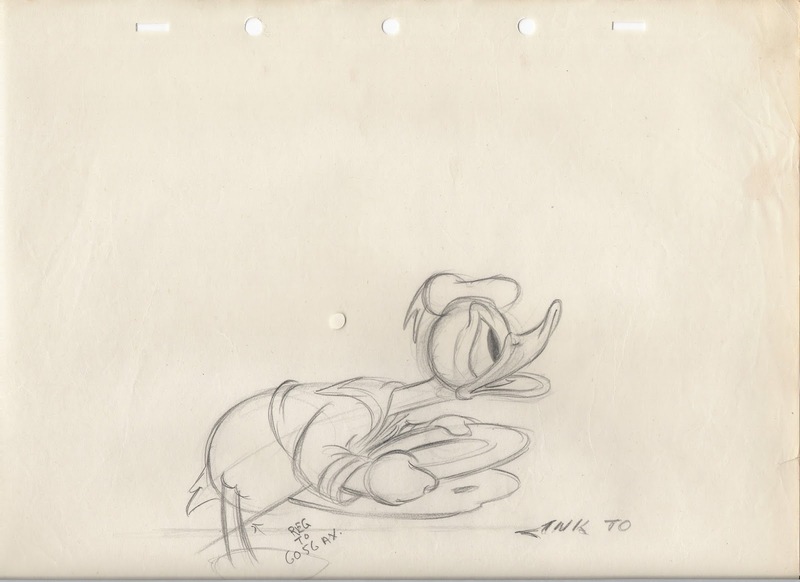 Towsley was mostly a Donald Duck animator, but he also worked on some of the early Disney features such as Pinocchio, Fantasia and Dumbo. 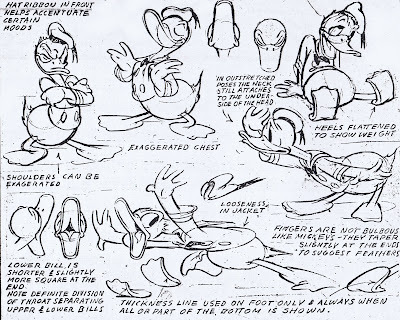 He created the most dynamic model sheets like the one above for Disney stars like Donald, Mickey and Goofy. 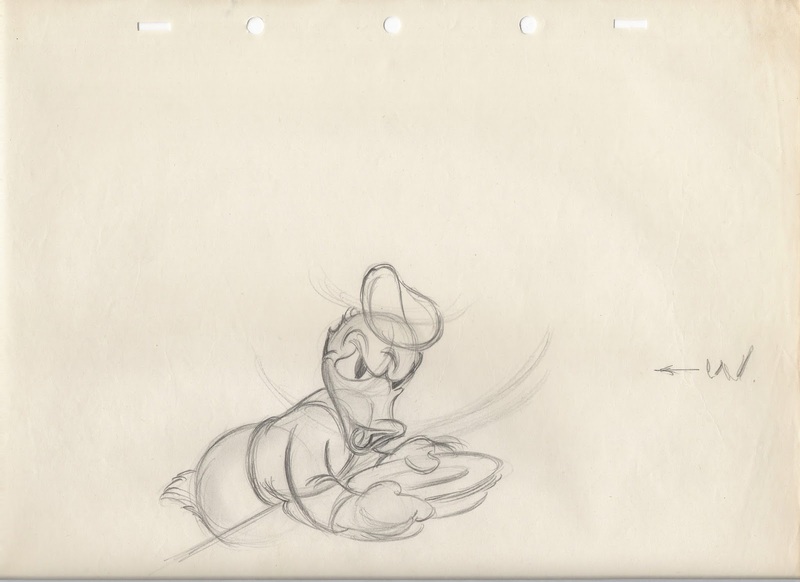 His short film credits start with the 1934 Two-Gun Mickey and end with 1948 Drip Dippy Donald. Towsley went on to work for other studios in Hollywood as an animator and director. 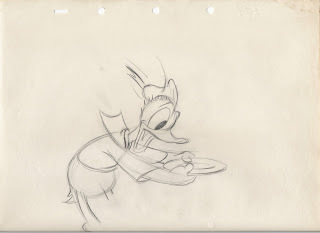 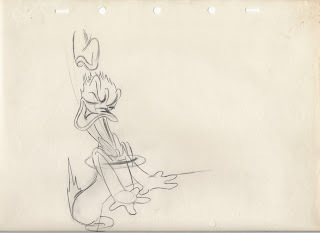 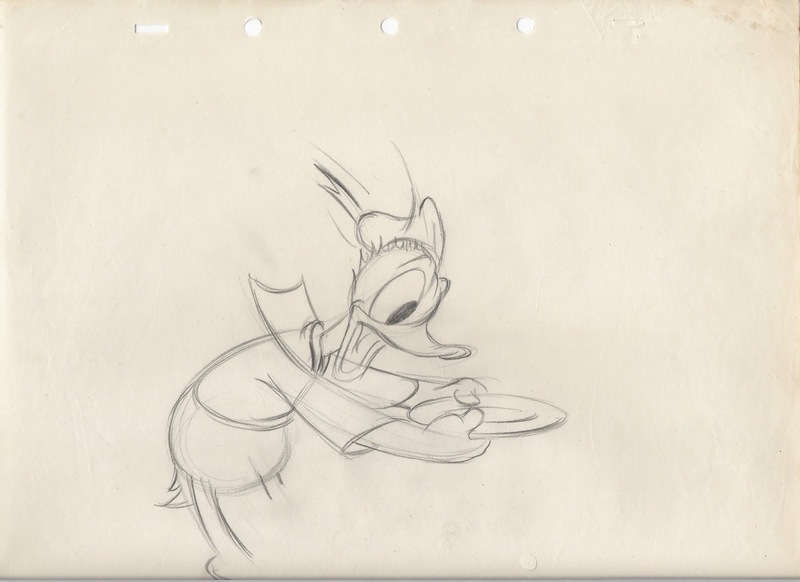 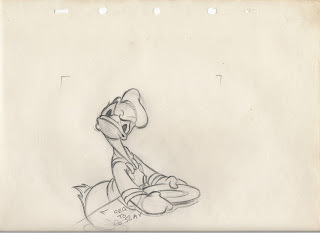 The animation drawings I am showing here are from Donald's Cousin Gus. 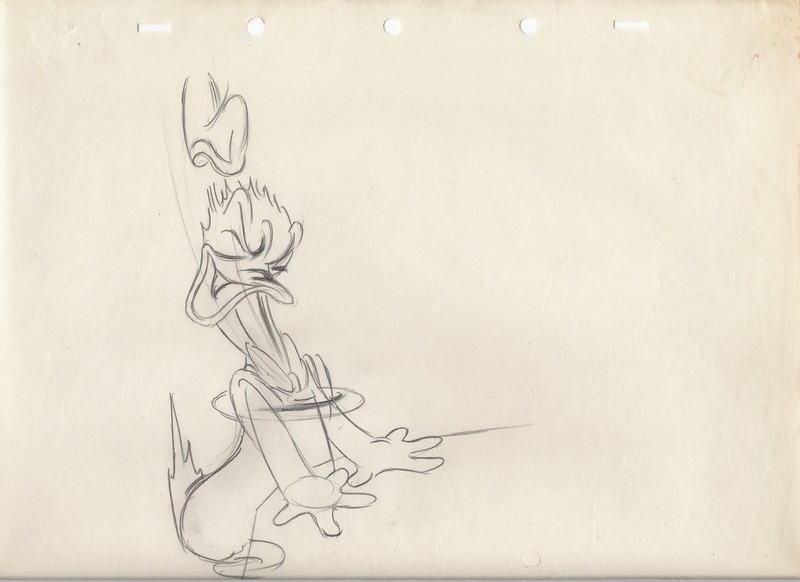 As I mentioned before in a previous post, Gus was brilliantly animated by Woolie Reitherman. 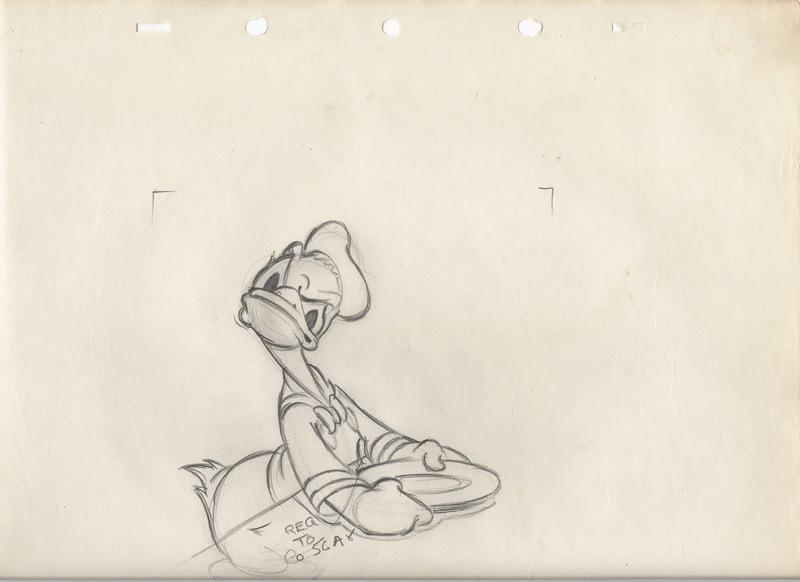 Towsley's Donald is equally fantastic. To me these drawings show the real Donald at his peak as an animated character. The poses are alive, they are drawn with an inventive touch, and no angle seems impossible. 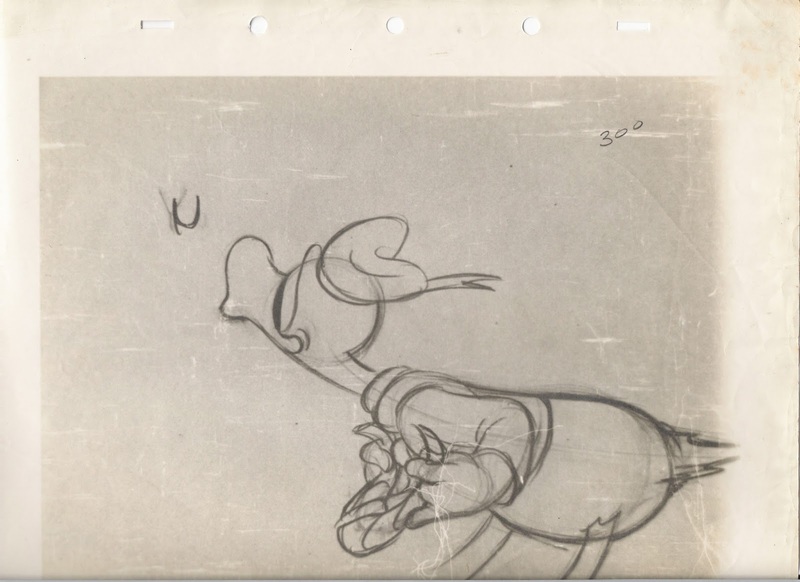 As a matter of fact, those unusual perspectives add greatly to the characters range in terms of motion and acting. And that's why Donald looks so believable here. No formulas, no limitations, only energetic, inspired personality animation. 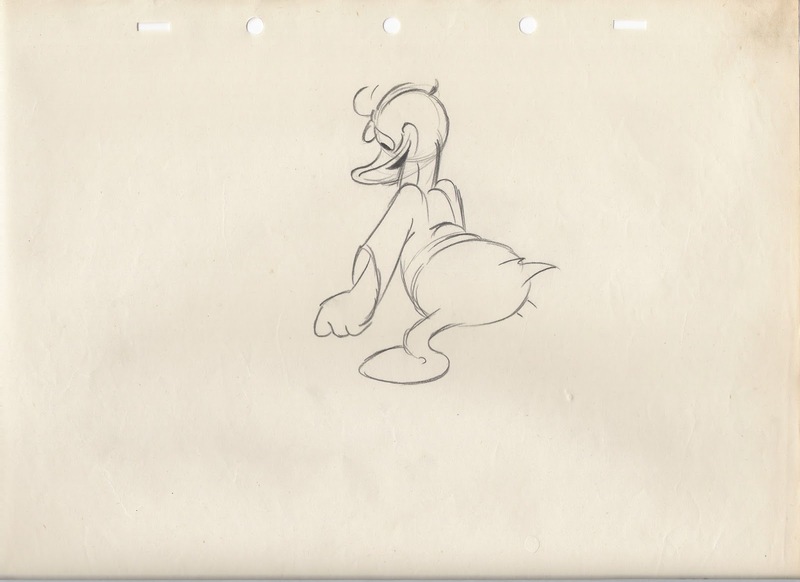 Because of the fact that these drawings don't show any numbers makes me think that they could be tracings off Towsley's roughs by an assistant. 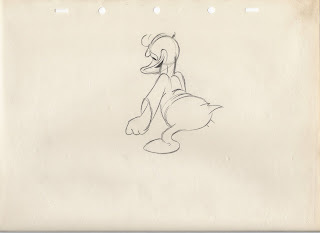 This was not uncommon practice, tracing the animators' keys allowed the follow up artists to get to know a particular animation and drawing style. 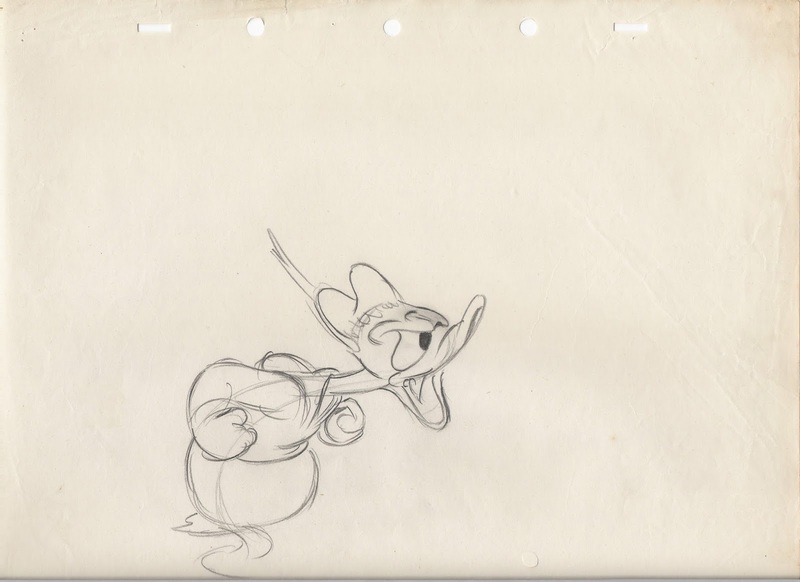 Then again, I could be wrong and these really are Towsley's original roughs. 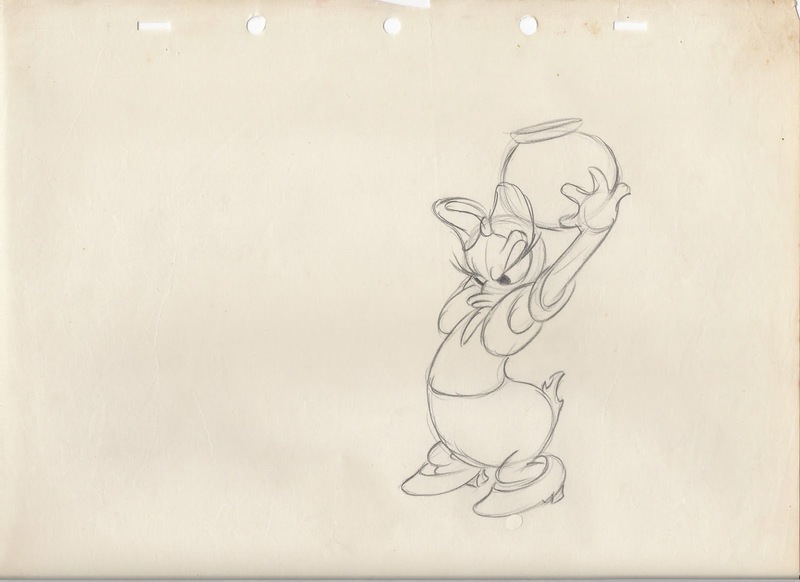 In any case I am totally in love with this type of approach to animation. What a freeing feeling for the animator to know that he could infuse his character with such spirited, dynamic life. These last few drawings are from a different short.